If there’s one thing the UK excels at, it’s week-long walks. From the top to the bottom of the country, if you’re looking to hike for a hundred miles or so, you’re spoiled for choice. My first experience of this was the Hadrian’s Wall Trail, following the remains of that famous Roman wall across the north of England. I enjoyed it so much that when a couple of equally hiking-mad friends mentioned they’d be in the UK over summer, there was no question as to whether we’d be taking a long walk together. The only real decision was: which one? After throwing around a few ideas and juggling various dates, we settled on the Cotswold Way. It fitted the time we had available, started and finished close to where we were all staying, and looked straightforward enough that we probably wouldn’t need much in the way of training or specialist gear to walk it safely and enjoyably. And so it was that Craig and I found ourselves standing outside Bath Abbey one overcast morning in late August, gazing down at a large plaque on the ground and wondering whether it was acceptable to stop for a coffee before we’d even started. Fortunately, the amount of sunshine and caffeine rose dramatically before the day was out, and stayed high for the rest of the walk. I’ve broken this post up into two main sections, covering planning and logistics, and the walk itself. 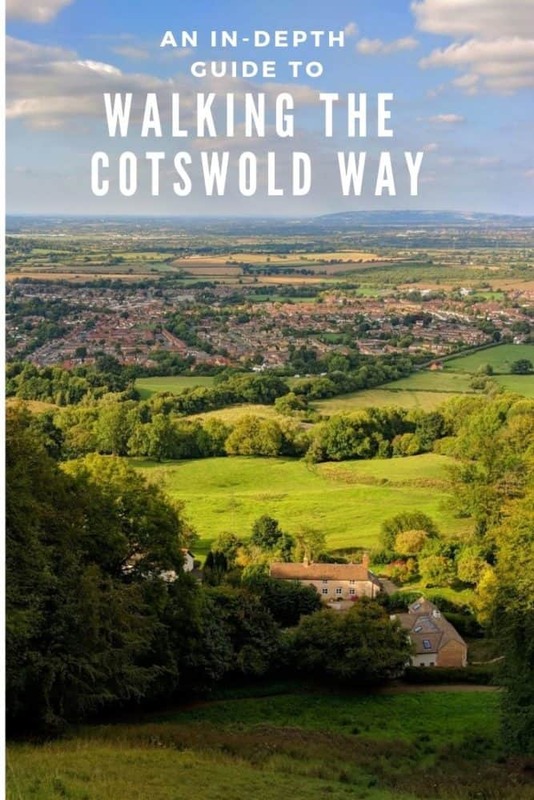 If you’re preparing for your own Cotswold Way walk and want to know things like how to get to and from the trail, where to stay, distances, costs, and what the food and drink options are like, read the first part. 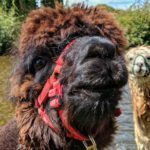 If you prefer pretty photos, or want a route summary, daily distances, or a day-by-day description of the walk, check out the second section. Or, if you’d rather, just read it all! In terms of difficulty, the Cotswold Way is definitely one of Britain’s easier National Trails. The vast majority is on dirt, grass, and other soft trails, and while there’s no shortage of hills, they’re not high enough to cause many problems. Towns and villages pop up often enough that there’s usually somewhere to stop for lunch, and if you enjoy old pubs and local brews as much as I do, you’re in for a treat. Still, as with any long-distance walk, it pays to do a little planning. That’s especially true when it comes to accommodation, as there isn’t a huge amount of it on the trail itself, and it books up fast. We deliberately timed our walk to start right at the end of UK school holidays, and still had to shift our dates around to be sure of a bed each night. 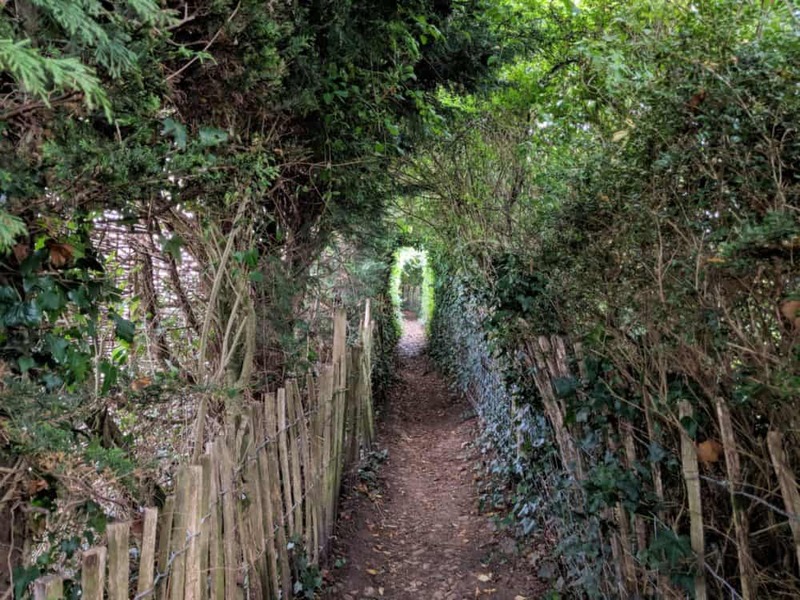 Where Does the Cotswold Way Start and Finish? 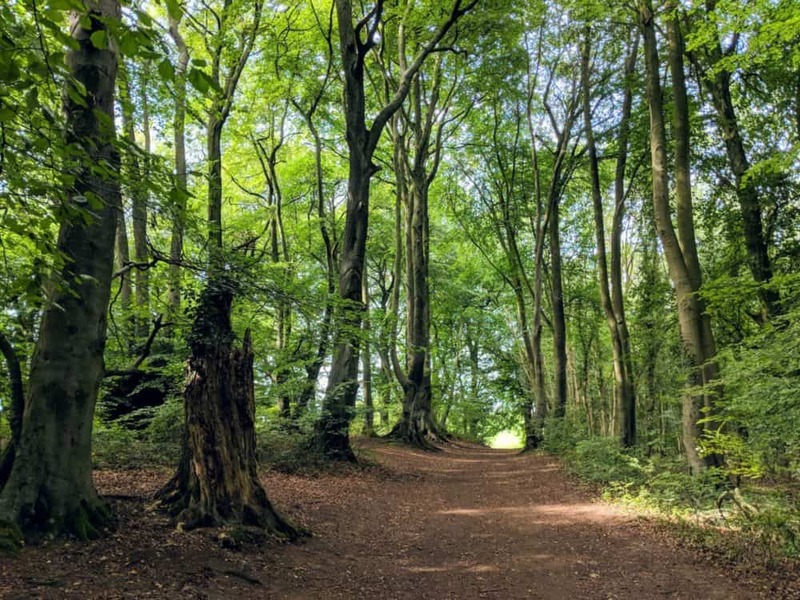 The Cotswold Way runs nearly the entire length of the Cotswolds Area of Natural Beauty, hugging the western edge from Chipping Campden in the north to Bath in the south. 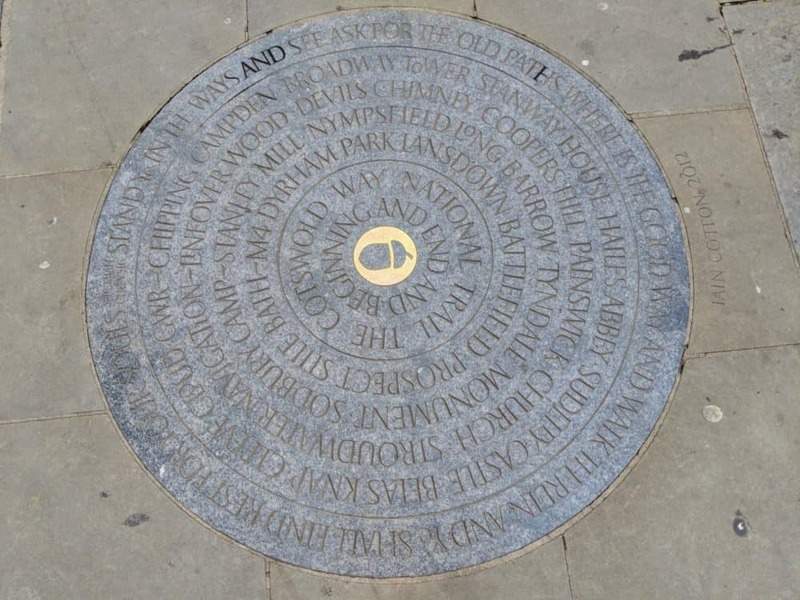 Plaques mark the start and end points, near the centre of town in Chipping Campden, and in the busy square outside the cathedral in Bath. You can walk in either direction, although most guidebooks seem to suggest walking north to south. We decided to do it the other way, and honestly, I think it’s the better option. While Bath itself is pretty, with plenty of grand architecture, the villages and scenery were more impressive further north. Knowing the walk was going to be even more attractive today than yesterday was a good motivator for getting out of bed each morning! How Long Is the Cotswold Way? The Cotswold Way officially runs for 102 miles, or 164 kilometres. You’ll walk more than that, though — the exact distance will depend on where you stay each night, how far you have to go to get food, any exploring you do of the larger towns, and whether you take any alternate routes. My Fitbit told me I’d walked 125 miles (202km) by the time I finished. That seems about right, as it included a detour into and around Stroud, an hour spent getting to and from the nearest pub one night, and other random wanders. 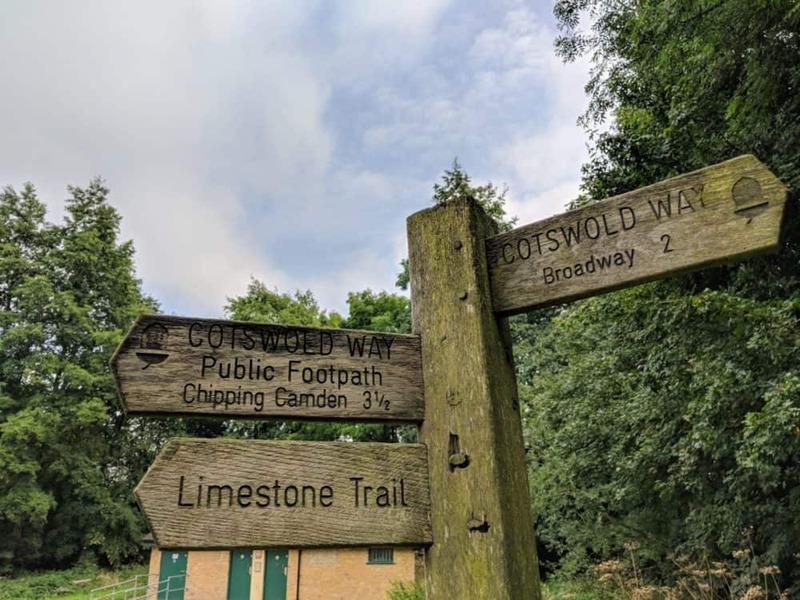 How Well Is the Cotswold Way Signposted? 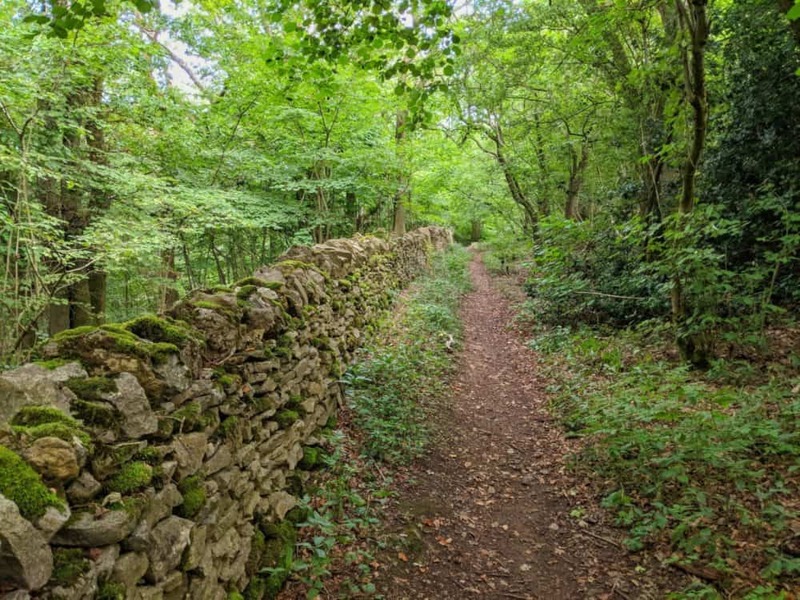 Despite being approved as a National Trail in 1998, the Cotswold Way didn’t officially open until 2007. As a result, waymarking is generally very good along the route’s entire length, with signposts, the National Trail acorn symbol, and other markers making a regular appearance. That said, it’s not completely impossible to get lost. We took a couple of accidental detours here and there, but never for very long. As a general rule, if you haven’t seen a marker in the last 15 minutes, you’re probably going the wrong way! I’d used a Trailblazer guidebook when walking Hadrian’s Wall, and had been impressed with its large hand-drawn walking maps, detailed food and accommodation listings, and generally good advice. As a result, when I realised the same company published a Cotswold Way guidebook as well, buying it was a no-brainer. Thankfully this version was equally as useful, and I’ll be using Trailblazer’s guides for future long distance walks in the UK as well. The book, coupled with the ViewRanger app and a GPX file downloaded from the National Trails website, made it easy to stay on track nearly all of the time, and find our way back to the trail whenever we’d veered off. How Long Does It Take to Walk the Cotswold Way? Walking the Cotswold Way takes about a week for most people. The exact time really depends on how hard you want to push yourself, as there’s enough accommodation to provide flexibility. If you’re short on time and super-fit, you could crank out 20+ miles a day and be done five days later. You’d be tired and sore, with early starts, late finishes, and no time for the kind of long lunch breaks we often took, but it’s certainly possible. It’s more typical to walk for seven days (six nights), which still provides a challenge, but is attainable for most people with a reasonable degree of fitness. Not being in any particular hurry, and having learned a lesson from Hadrian’s Wall, where having an extra day would have made a big difference, we decided on a more leisurely approach. Giving ourselves eight days (seven nights) made accommodation easier to find and blisters harder to come by, and meant we didn’t need to rush our meals or slam down espresso shots with one foot out the door. It felt like the right choice, and if you’ve got the time, I’d recommend doing the same. You don’t have to tackle the entire length, of course. 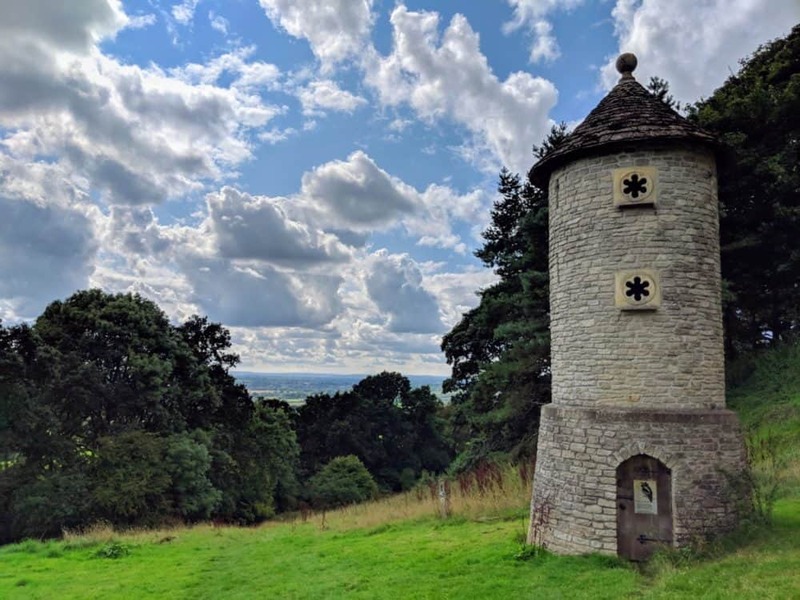 If you’re only in the area for a long weekend, or just don’t fancy a 100+ mile walk, you can still see plenty of the best bits of the Cotswold Way as a day or overnight hike. 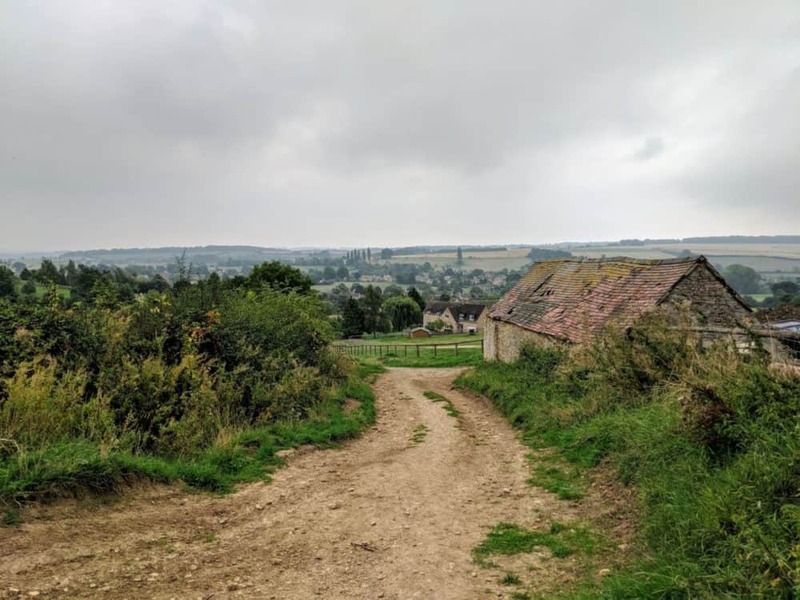 With the trail easily accessible from popular towns and villages in the Cotswolds, we met several day hikers along the way, especially as we got further north. The UK is generally pretty well served by public transport, at least in terms of its availability. It’s not necessarily cheap, and may not always run to time or as regularly as you might like, but it usually exists. The Cotswold Way is no exception. If you’re starting from Bath like we did and are planning to fly in, Bristol Airport is less than 20 miles from Bath Abbey. Birmingham Airport is also an option, as it’s closer to either end of the trail than any of the London airports. Bath is well served by buses (coaches) and trains, with direct services from London and elsewhere. The bus and train stations are virtually alongside one another, and you can walk to the cathedral from either of them in a few minutes. Chipping Campden is a bit trickier to access by public transport, but it’s still possible. Buses run to various nearby towns, including the train stations at Moreton-in-Marsh and Stratford-upon-Avon, or you can take a taxi if the timetables don’t line up. Getting to/from London (and elsewhere) is relatively straightforward from either station. Since I’m based in Bristol these days, getting to the starting point couldn’t have been simpler. Both buses and trains run regularly from downtown Bristol to Bath, so we just headed off after breakfast. Getting back from Chipping Campden required a little extra effort, but not much. After finishing early afternoon, we relaxed with a pint or two while waiting for a couple of hours for the 606 bus to Cheltenham. From there, I jumped on an evening train bound for Bristol. Services to London Paddington and elsewhere also leave from Cheltenham Spa station. We carried everything we needed for the Cotswold Way in our backpacks, but you don’t have to. A few different companies offer bag transportation services, where they’ll pick up your pack or suitcase from your accommodation each morning, and drop it off at your intended destination before you arrive. 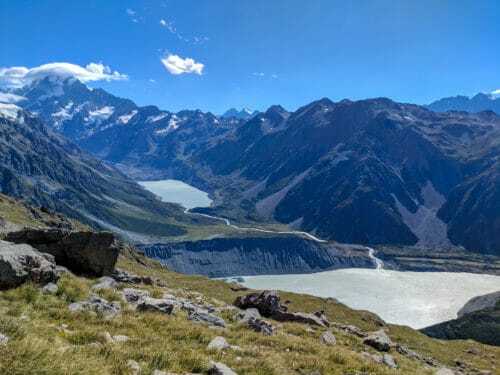 Hiking with just a daypack holding little more than water, snacks, and a jacket certainly makes it easier, and since you’ll likely have to book your accommodation in advance anyway, this approach can work pretty well if it’s something you’re looking for. I don’t have experience with any particular company, but check out Carryabag, Cotswold Luggage Transfers, or Sherpa Van for prices and details. Since it’s in the south of the country, you’d generally expect warmer, drier conditions on the Cotswold Way than further north. Just like the rest of the UK, however, the weather can be varied and unpredictable, and there are absolutely no guarantees. That said, we were pretty lucky. Hiking at the end of summer gave a better chance of sunshine and blue skies, and that’s largely what we got. The cloud hanging around in Bath broke up later in the day, replaced by sun for much of the entire rest of the walk. There was occasionally a bit of rain overnight, but until the final day, it was always gone by morning. Even then, it was mostly a misty drizzle rather than a downpour, making for moody photos instead of wet feet, and it disappeared by lunchtime. Temperatures were good for walking, cooler in the mornings and evenings, and typically getting up to low to mid-20s (C) during the day. Even in early September, though, there was a definite chill in the air at night. In other words, put long sleeves, pants, and a poncho or proper rain jacket on your packing list no matter when you walk the Cotswold Way! While there’s a fair amount of accommodation in larger towns and cities, options diminish quickly elsewhere. Budget accommodation, in particular, is very difficult to come by. There are a few youth hostels in Bath, including well-reviewed options like St Christopher’s Inn and (further out) YHA Bath, but nothing else directly on the trail. If you’re prepared to go quite a way off the route, Cheltenham often has a few cheap places among its wide range of options. 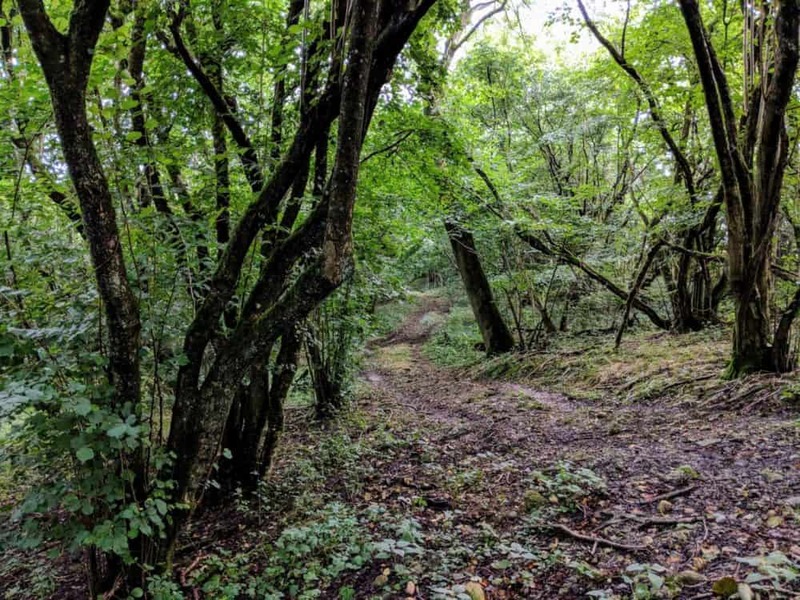 Campsites, too, are very limited, and wild camping isn’t permitted anywhere along the Cotswold Way. In a pinch you can try your luck by asking farmers if you can camp in their fields, but don’t just pitch a tent and hope. 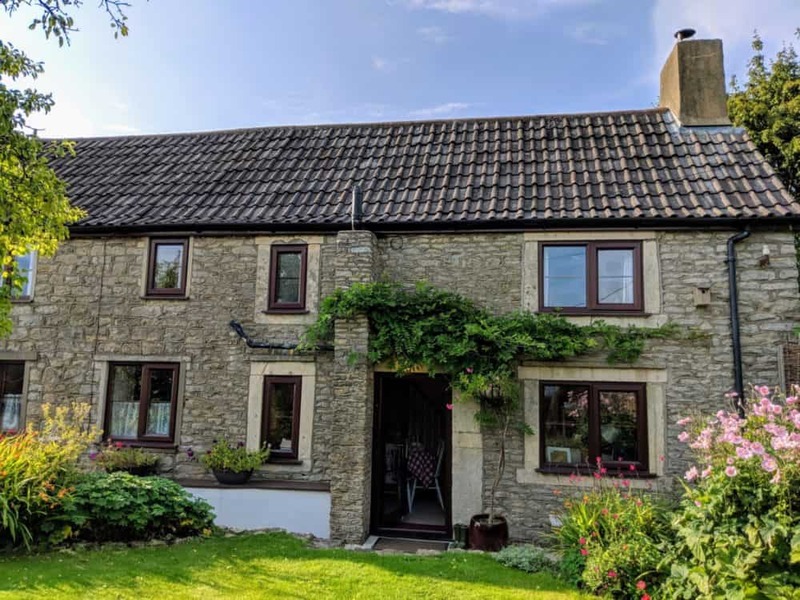 There’s nothing really in the way of bunkhouses or cheap guesthouses either, so in reality you’ll likely end up spending most nights on the Cotswold Way in a hotel, pub, or bed and breakfast. Due to limited availability, it’s well worth booking ahead of time, especially in summer and over any school holiday periods. While you’ll find some accommodation listed online on Booking.com or their own sites, most of the places on the trail are still quite old-school, requiring an email or phone call for availability and booking. As a result, it can take a bit of time to get all of your bookings lined up, as you’ll often need to wait to hear back from one place before you can book the following night. We started the process about six weeks in advance, and still found several places were full. For walking at the start of September, I wouldn’t have wanted to leave it much later than that. Other than an Airbnb in Stroud, all of the places we stayed were either directly on the trail or within a few minutes’ walk. One or two offered laundry service, but we just washed clothes in the sink after we got in most days, and did one proper load of laundry at the Airbnb. I go into more detail about each place in the day-by-day summary below. 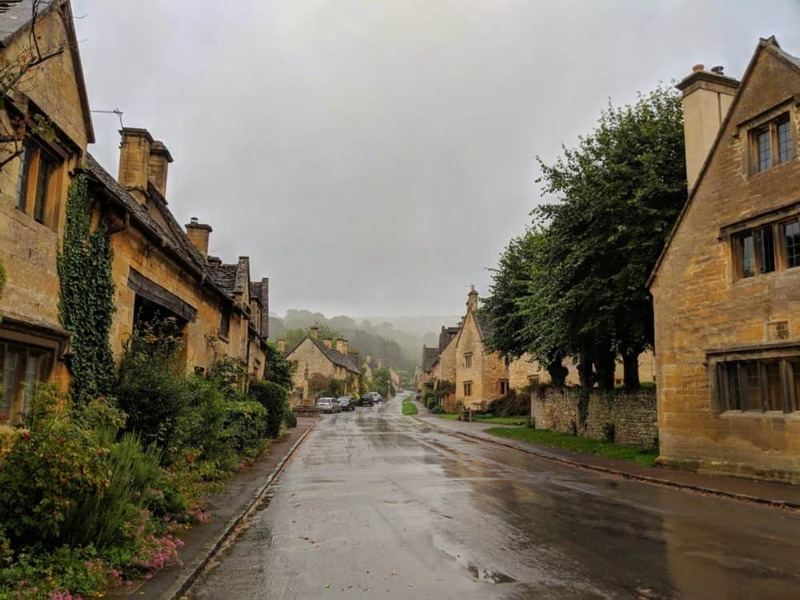 For the sake of having an accommodation list in one place, though, here’s everywhere we stayed along the Cotswold Way, with a link for more information where possible. As long as you like hearty breakfasts and pub meals, mealtimes are definitely one of the highlights of the Cotswold Way. Every pub, hotel, and BnB offered some kind of variation on the full English breakfast, with at least bacon or sausages, eggs, tomatoes, beans, toast, juice, and tea or coffee making an appearance. Lighter cereal and fruit-based options were also available, if you’re trying not to have a heart attack before mid-morning. At BnBs, breakfast was always included in the nightly rate. Pubs and hotels usually included it in the price as well, and otherwise just charged a few extra pounds. Depending on where we found ourselves at lunchtime, we’d eat anything from a sandwich picked up from a supermarket earlier in the day, to a cafe or pub lunch. Most pubs opened around 11 am, and almost all of them by midday. Dinner was usually at a local pub. Some of the accommodation was a fair distance from the nearest place to eat, although many offered the option of either paying for a homemade meal, or providing a lift to and from the pub. 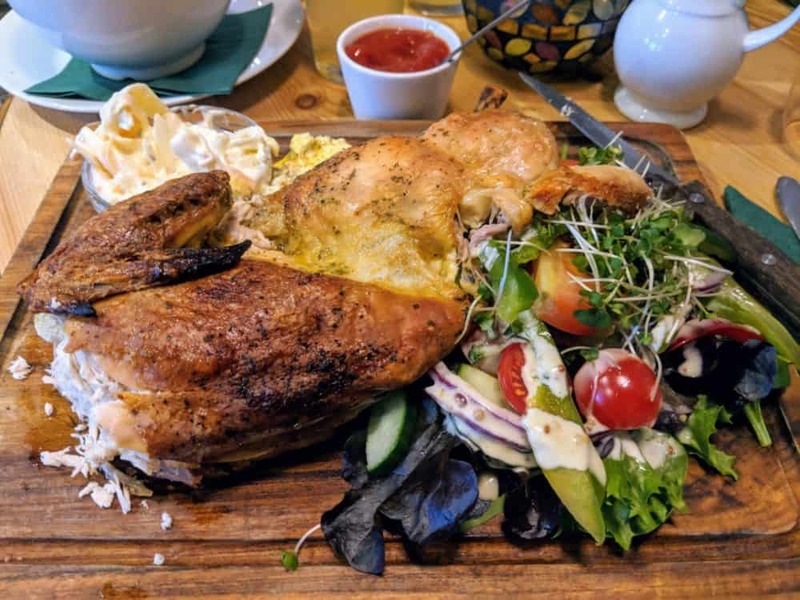 I wouldn’t put any of the meals I ate on the Cotswold Way into the “gourmet” category, but they were all tasty, and delivered (more than) enough calories to keep me powering through the miles each day. A selection of local lagers, ales, and ciders were on tap at most pubs as well, changing as we made our way north. In that regard, exactly what we’d find would always be a delicious mystery. Without cooking or meal prep facilities in the pubs, hotels, or BnB’s, self-catering would have been more of a challenge most days. In the end, other than snacks and occasional pre-made sandwiches for lunch, we didn’t bother trying. 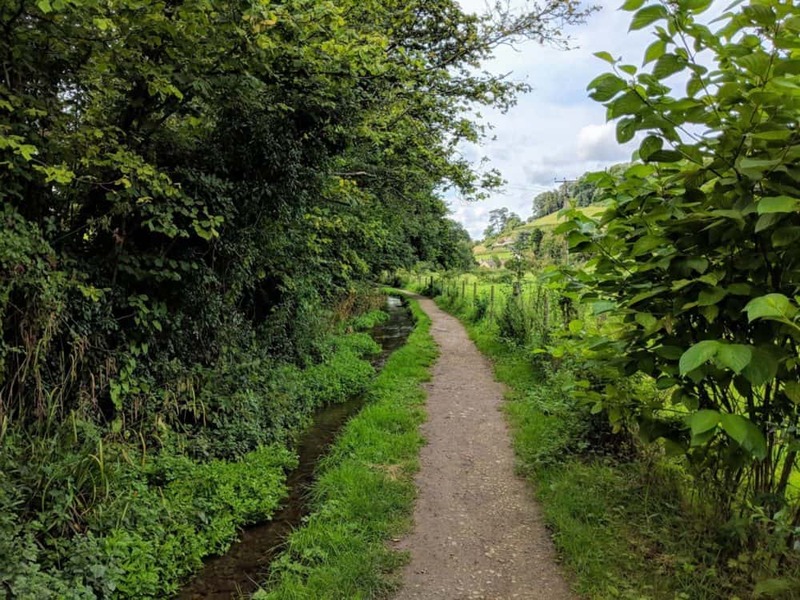 The relatively-short length of the Cotswold Way, combined with walking it at the end of summer and not needing to carry camping equipment or food, allowed me to keep my gear list relatively small. As a general rule for these type of walks, I try to keep my bag under about 10% of my body weight. For me, that means everything I need to stay safe and comfortable, including water and snacks, needs to come in under 7-8kg. I carried everything in an Osprey Talon 44 backpack, which I’ve reviewed separately in the past, and it was ideal. At some point, I’ll likely put together a dedicated packing list for the Cotswold Way. 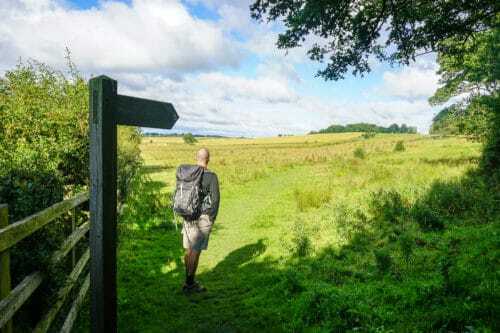 For now, though, the gear I used for Hadrian’s Wall the year before was almost identical, and this post has detailed descriptions of everything I took on that walk, why I chose to take it, and how well it worked in practice. Even more than some of the other popular National Trails in the UK, walking the Cotswold Way isn’t cheap. 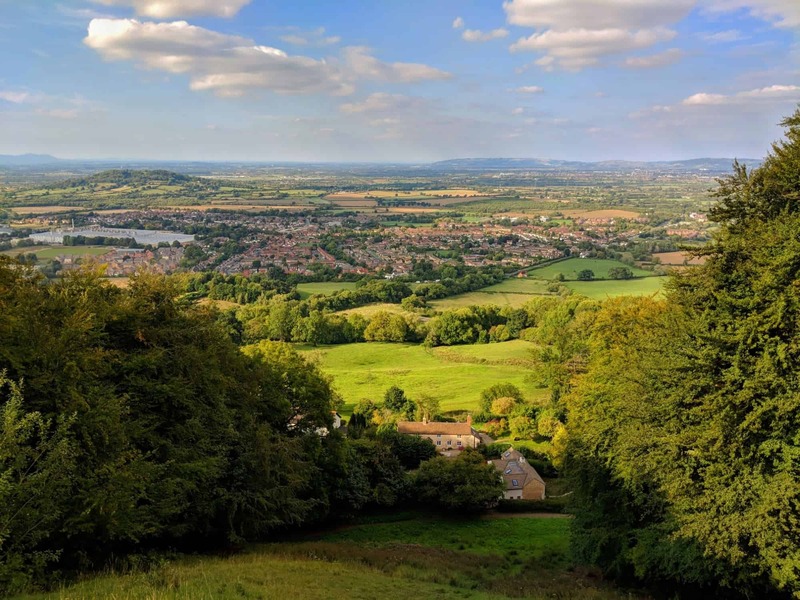 The Cotswolds AONB is popular with tourists, especially the northern parts, and prices for food, drink, and accommodation tend to reflect that. 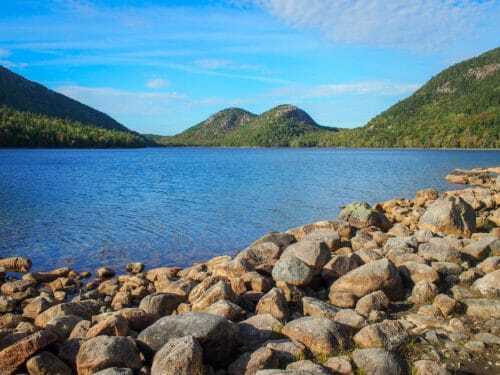 The lack of hostels, bunkhouses, and campsites along most of the trail definitely doesn’t help with keeping costs down, both because prices for the other options are higher, and because self-catering facilities are therefore quite rare. If you’re walking solo, it’s not easy to find single rooms, and in many BnB’s you’ll often save little more than the cost of one breakfast if you book a room for yourself. Walking with a friend or partner is the most economical approach, but you’ll likely still be paying around £45/night per person, including breakfast. Expect to pay around £10-12 for lunch and a drink at a pub or cafe, and £15+ for dinner. Throw in a couple of coffees or soft drinks each day, and it’s easy to hit £70/day or more for food and accommodation without even trying, especially in the northern part of the walk. That said, you’ll be able to save somewhat on those costs if you carry everything you plan to eat and drink while walking each day instead of buying lunch and coffees, and strictly limit your drinks in the evenings. I’m not disciplined enough to do that, but you may well be. If you like the feeling of dirt under your boots, you’re in for a treat on the Cotswold Way. Other than the walk out of Bath on the first morning, there are few periods of lengthy road or tarmac walking. The majority of the track is grass or packed dirt, through forests and fields or beside quiet country lanes. The trail designers have done a good job of avoiding busy roads, to the extent it came as a shock whenever we did emerge from the trees to suddenly find ourselves in range of cars and trucks once more. While there are plenty of hills and open areas that would be very exposed in bad weather, we were fortunate enough to encounter almost all of them under sunny skies. My view of the difficulty and enjoyment levels might well be quite different if that hadn’t been the case! Large amounts of sunshine, coupled with most days being 15 miles or less due to the extra time we’d allowed ourselves, made for a relatively easy walk overall. Sure, my feet were a bit sore by the end of the day, and there was definitely some good sweating on the longer uphills, but hey, you don’t get views without hills, right? The combination of shoes that were well worn in, and that general lack of walking on hard surfaces, meant I somehow managed to avoid blisters the entire way. If only every long walk could be the same! All distances are approximate — they were recorded on my Fitbit, which doesn’t use GPS and usually over-estimates mileage a bit. Having taken the 9:30 am train to Bath and shot a few obligatory photos in front of the abbey, we strode purposely out of town. Admittedly, most of that purpose was directed towards finding a good place to enhance our caffeine levels, but it was a purpose nonetheless. In the end we didn’t break for coffee until Weston, and having realised there wasn’t really anywhere to stop for lunch further along, grabbed some food to go from the local Tesco. A couple of pieces of fruit and a limp ham sandwich weren’t exactly what I’d planned for my first lunch on the trail, but after a few hours of walking, they still tasted better than a supermarket meal deal has any right to. The views and countryside weren’t mind-blowing, but a couple of nice wooded areas and the views of and from the rolling hills still kept things interesting. After walking under cloudy skies all day, the sun finally broke through as we entered the small village of Pennsylvania, our end point after a mere 20 km. The benefits of allowing ourselves that extra day were already showing! We stayed at Cornflake Cottage, and if you can book early enough to snag one of the two rooms there yourself, I’d highly recommend doing the same. The owner was lovely, making us coffee and scones when we first arrived, serving up a huge, delicious breakfast the following morning, and driving us to and from the nearest pub (The Crown, at Tolldown) for dinner. The attractive twin room cost £90/night including breakfast, with endless hot water in the shower next door. There was plenty of room to spread out in the separate lounge/dining area downstairs, although to be honest, we spend most of our time lapping up the late afternoon sun in the courtyard outside. After that large breakfast and the prospect of a wet trail thanks to overnight rain, we didn’t exactly rush out the door in the morning. Muddy boots were as bad as it got, though, as we wandered toward and through the very large Dodington Park. If you’re looking for tiny villages with quintessentially English names, this part of the country is a great place to find them, which helps explain how we ended up in Old Sodbury for lunch. Oddly enough, this was the second time I’d walked into that village within a couple of months — a lengthy day hike from Bristol, the Frome Valley Walkway, ends there as well. Lunch in the sun at the Dog Inn stretched lazily into second-pint territory, which perhaps wasn’t the ideal preparation for a couple of hours of walking up and down hills afterward. The countryside was much the same as the day before, mostly cultivated farmland with a few patches of delightful woodland, and the distance was pretty similar as well. The undoubted highlight of the afternoon’s walk was what looked like a tiny historic tower, but actually turned out to be a nesting area for barn owls and other birds, built specifically for that purpose less than twenty years ago. Oh England. 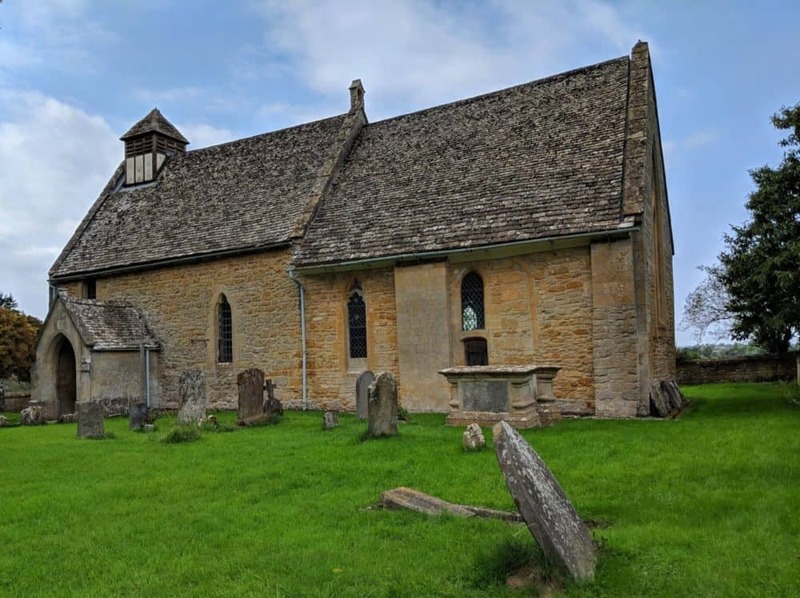 Hawkesbury Upton is a small, attractive village with a couple of good pubs, and I thoroughly enjoyed my excessively-large meal at the Beaufort Arms, and the pint and a half that went with it. Accommodation at Coombe Farm lay just a few minutes’ walk away. Costing £70/night for a fairly tired twin room with breakfast, it wasn’t a patch on where we’d stayed the night before, but the beds were comfortable, the shower was hot, and there was a washing line outside to hang clothes in the late afternoon sunshine. When it comes to long-distance walking, that’s pretty much all you can hope for. After another large English breakfast, this time seated in the farmhouse admiring the owner’s collection of small porcelain pigs, we hit the trail again. 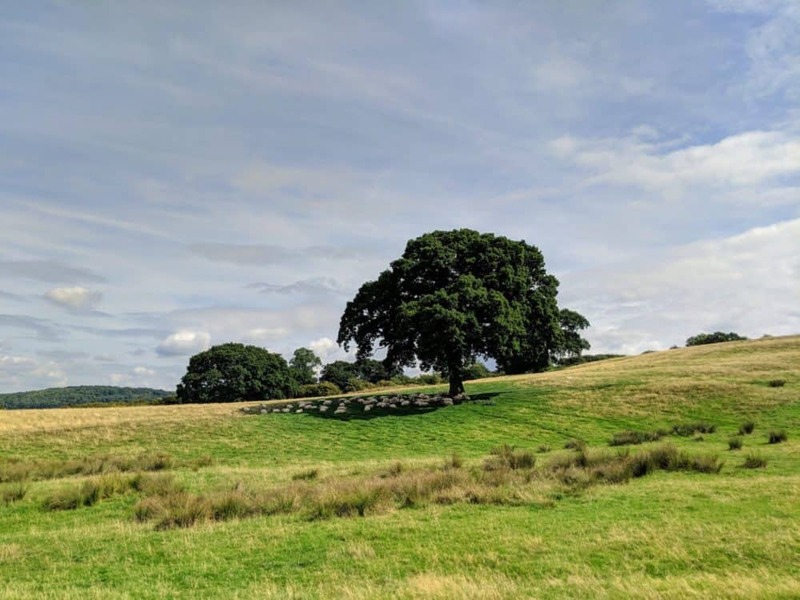 Knowing it was going to be a particularly short day, there was absolutely no hurry — which was fortunate, as we hit the first proper hills of the walk just outside Wortley. The cloudless sky and attractive views made the climb up to the ridgeline much more enjoyable, and the views from the top were absolutely lovely. The best part, though? Walking around a small valley named Nanny Farmers Bottom shortly after. No, I don’t know how they come up with these names either. The views and silly names were great, but even so, the lack of a place to stop for food or caffeine until lunchtime meant we were very happy to see the cafes and pubs of Wotton-Under-Edge when they eventually appeared in front of us. That, and the sunny beer garden, may also help explain why we lingered over lunch at the Royal Oak for the better part of two hours. Just like the day before, it wasn’t the ideal preparation for what lay in store: a steep climb that started about a hundred years from the front door of the pub. Sigh. It had started to cloud over a little by this point, but the views from the top were still impressive, and the forest path leading along the ridge, past the somewhat-famous Tyndale Monument, and down to North Nibley provided a glorious final hour of walking to end the day. After a stroll around the village (it didn’t take long), we settled in at the Black Horse Inn. It was pretty typical pub accommodation, clean and simple, and cost £75 for a twin room, not including breakfast. The food and drink were also standard pub fare, tasty and plenty of it. After three days on our feet, only having to walk down a set of stairs to get dinner was a definite bonus. The extra night we’d factored in had allowed us to turn two long days of walking into three short ones, but it was now time to start getting a bit more serious about things. After a decent breakfast at the pub, where Craig got to teach a new staff member how to use the coffee machine, we strode out of the village under sunny skies and headed back into the hills once more. 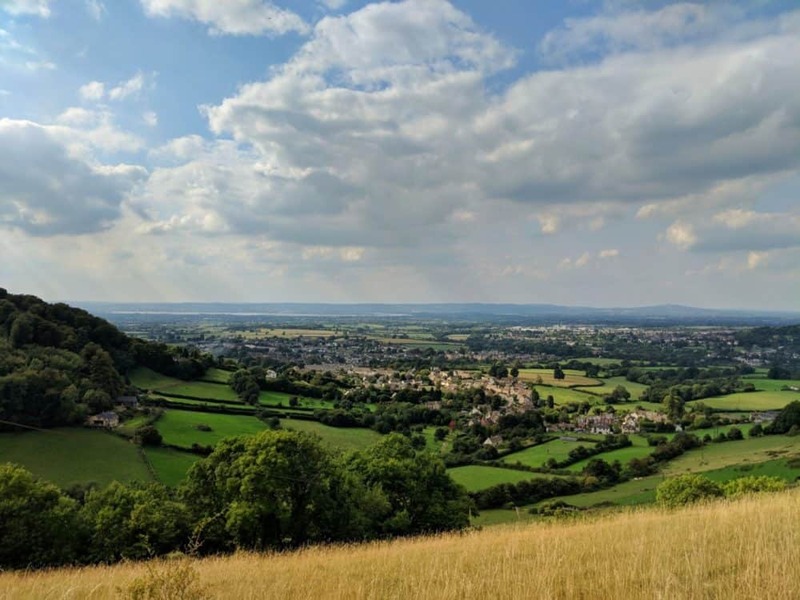 After climbing to the top of Stinchcombe Hill, there are a couple of options: a shorter, direct route, or a rambling alternate path that adds an extra couple of miles. Our ever-reliable guidebook recommended the scenic route on sunny days, and with barely a cloud to be seen, we took its advice. I’m very glad we did. Arriving in the good-sized market town of Dursley too early for lunch, we we settled for a leisurely coffee instead. With nowhere obvious to stop further on, the ubiquitous supermarket sandwich made another unwelcome appearance in my backpack, consumed on a bench in the sun a couple of hours later. The rolling hills and glorious views of the morning continued through the afternoon, making it easily the best day of walking so far. 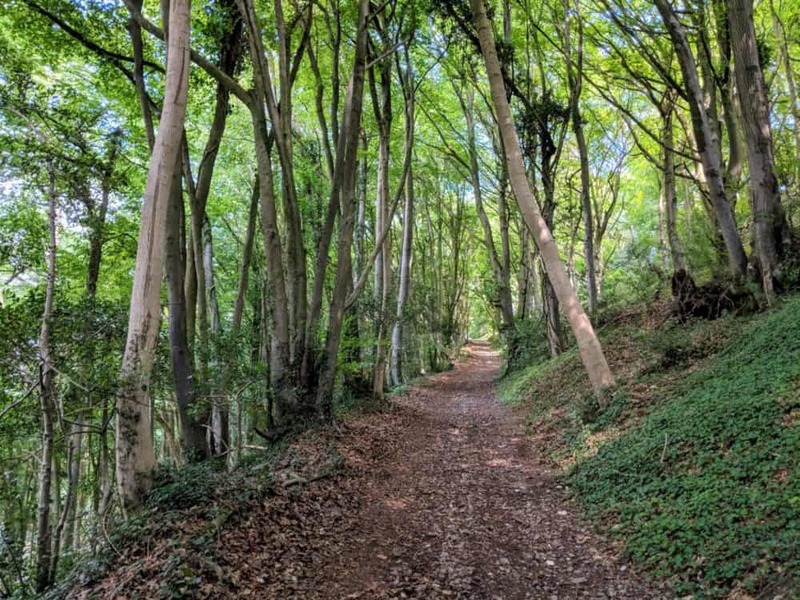 The most impressive area was around Uley Bury, especially through Coaley Wood, although you could choose pretty much any five-mile section and be very happy with it. As good as the views from Selsley Common were, the lengthy walk up, over, and down the other side of it had my feet and knees grumbling by the time we tumbled into the Bell Inn. We were meeting Craig’s wife Linda there, who would be joining us for the next couple of days. When she emerged from inside with cold beers in hand, I could definitely see why he’d married her. Linda had been staying at an Airbnb in Stroud for a few days, and we joined her there for the night. It meant a bit of a detour and a longer day, but made the accommodation choice easier and cheaper, and provided a washing machine for our increasingly stinky clothing. Well worth the extra miles! Dinner was at a surprisingly-reasonable Thai restaurant in town. 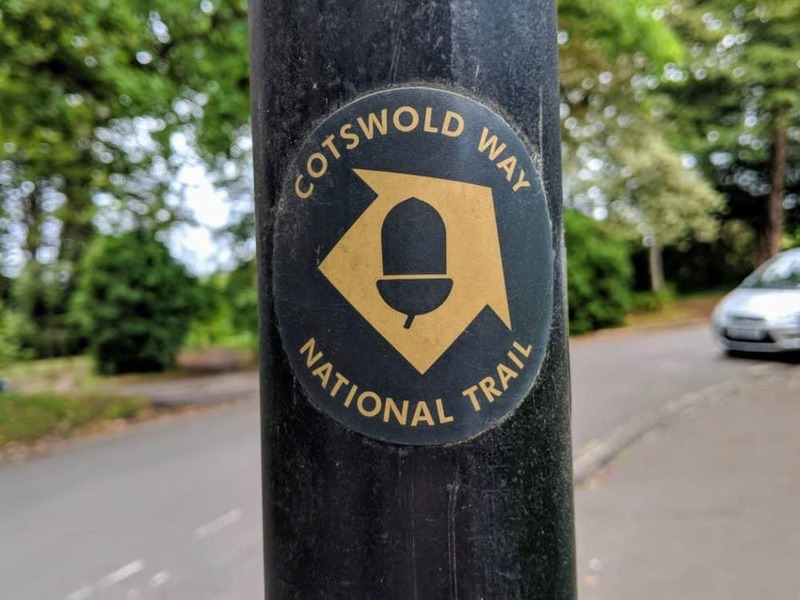 After breakfast and a quick look around the Saturday market, we headed back out along the canal towpath to rejoin the Cotswold Way. It seemed to take a while — much like the entire day’s walk, really — but at least it was flat and scenic. Once we turned back onto the path, it rewarded us by heading straight uphill through the fields and vineyards. Thanks, I think. Just like the day before, though, there were plenty of highlights, including the long, leaf-covered trail through Standish Wood, and spectacular views from the Haresfield Beacon. We hustled to get to Painswick before everywhere stopped serving lunch, slipping into the Royal Oak (yes, the second pub of that name in three days) shortly before the kitchen closed. Elegant old buildings, good conversation, another sunny beer garden, another slow departure. The busy road out of town soon gave way to a quiet path through the local golf course, and then up and down every hill in the vicinity. The steepest by far was the infamous Cooper’s Hill, home of the annual cheese-rolling competition that’s as ridiculous as it is limb-endangering. If you’ve never had the pleasure of seeing this “sport” in action, here’s a link. You’re welcome. There was no low-flying cheese on this particular day, however, so onward we went. Everyone was getting pretty tired by this stage, but it was still another hour through the trees to finally rejoin the road just outside Birdlip, our home for the night. It looked like a pretty little village, but we were staying at the Royal George Hotel near the start of town, and weren’t going to walk one extra step to find out. Our triple room cost £137.50 including breakfast, and was pretty much exactly what you’d expect from a large hotel like this: clean, modern, and nondescript. No complaints whatsoever, and even fewer at not having to go outside to find dinner! Breakfast was surprisingly good for a bundled option at a big hotel, as was the scenery once we grudgingly pulled our boots back on and headed back to the trail. This was very much a day of hills and forests, with sweeping views every time we emerged from the trees. 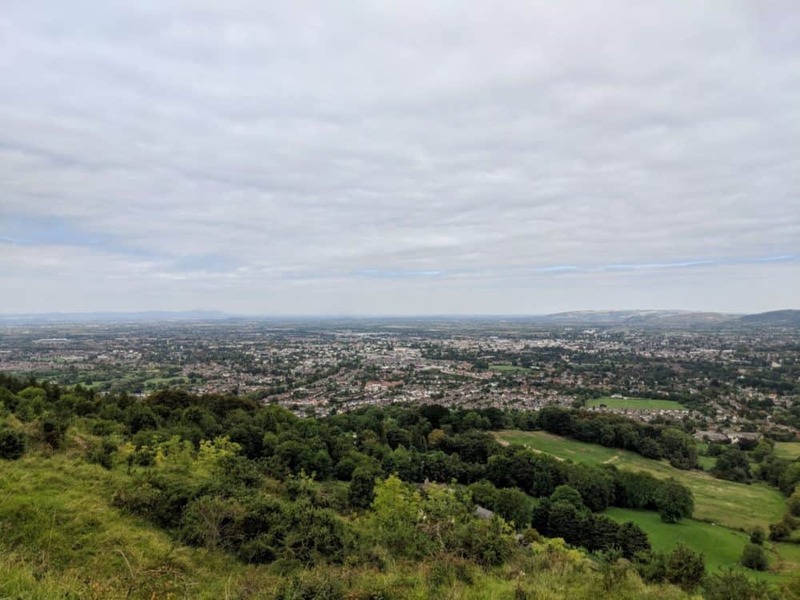 Particularly impressive was the panorama from the top of Leckhampton Hill, overlooking Cheltenham and the surrounding countryside. Eventually dropping back down to the road at Seven Springs, Linda left us at the crossroads to head into town and her bus back to civilisation, while Craig and I went for a mediocre lunch at the mediocre chain pub nearby. The walking had been relatively easy in the morning, but the hills got noticeably steeper in the afternoon. I’m pretty sure that wasn’t entirely due to the pub lunch. As usual with hills, though, the views made up for the climb, and other than a little bit of unplanned cross-country hiking to find our accommodation at Upper Hill Farm, everything went according to plan. Our large twin room cost £90 including breakfast, and owner Paul was nice enough to drop us off and pick us up from the Lansdown in Cheltenham for dinner. It was a warm night, and sitting outside chatting over a couple of drinks as the sun set was one of life’s little pleasures. 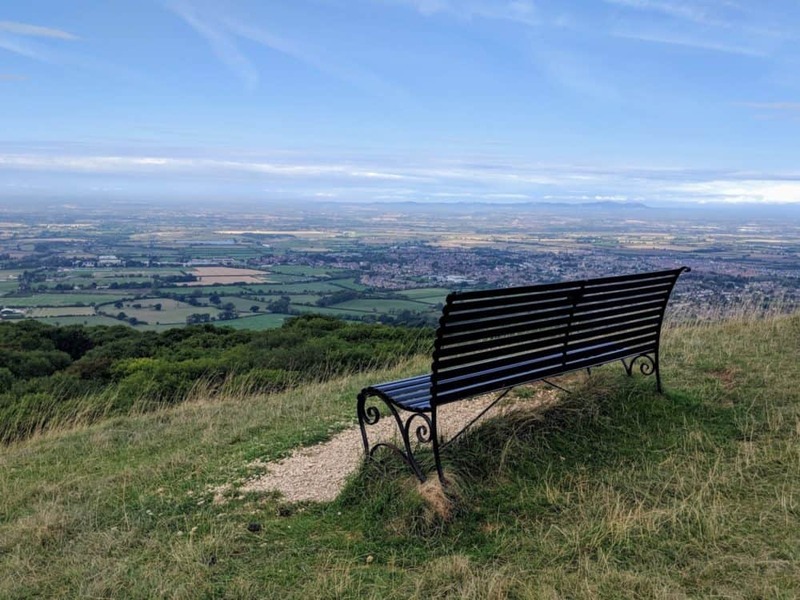 After another tasty cooked breakfast, we stomped off into the countryside once more, toward Cleeve Common and the highest point on the trail, Cleeve Hill. At 325 metres (1066 feet), however, I wasn’t going to be breaking out the crampons quite yet. It was a perfect sunny day, the climb up the hill wasn’t particularly steep, the views were impressive, and best of all, we met two collies at the top who were busy walking their owner. We eventually got moving again after a solid twenty minutes of playing fetch (dogs) and chatting about the state of the world (owner), but seriously, I’d have been happy to stay there all day. Back down the hill we ambled, and after a solid walk, stopped for a break beside (or in fact, on top of) Belas Knap, a large lump in the ground that was actually a 4500-year-old burial site. Another steep descent found us in Winchcombe, a pretty little town that seemed the perfect place to break for lunch. And so we did, at the White Hart Inn. Onward to Hailes Abbey (ruined) and Church (closed), and as is always the case when you’re tired at the end of the day, a steep climb up to some fields and our destination, the tiny village of Wood Stanway. We paid £85 including breakfast for a twin room at the Wood Stanway Farmhouse, a ramshackle, 400-year-old home that’s been partially converted into a BnB. The floorboards creaked, I don’t think there was a straight wall in the place, and the smoke alarm definitely had a mind of its own, but the owner was lovely and by this point on the walk, we’d probably have slept outside on a bed of nails if it’d come with a decent breakfast. Sadly the nearest place for dinner was a half-hour walk away, partially along a busy road with no proper pavement, but the food and drink at the Pheasant Inn more than made up for it. Until we had to walk back again, at least. Rapidly approaching the northern end of the walk, we were now firmly in the postcards-and-tourist-brochures part of the Cotswolds, all picturesque villages and beautiful countryside. That, of course, meant our run of good weather came to a grinding halt. The light, misty drizzle that greeted us as we creaked open the farmhouse door slowly became heavier as we walked through the surrounding fields. It made for atmospheric photos, sure, but also forced me to finally pull out my rain jacket for the first time as we approached Stanton. It didn’t last long, but ensured any plans we had to explore anything beyond the direct path through the village were quickly shelved. I liked what I saw, though, and am already planning a return trip. Just not necessarily on foot in the middle of a downpour. From there we followed muddy trails and farm tracks toward Broadway, arguably the most famous village in the Cotswolds. Knowing that the steep descent down to the village would be followed by an equally steep ascent up the other side of the valley, we made a snap decision to turn our coffee break at the Leaf and Bean into a lunch break as well. Given the quality of the sandwiches, it was the right choice. After puffing up the hill and passing Broadway Tower at the top, the end was figuratively, if not quite literally, in sight. The final couple of hours passed quickly, with only a short break at Dover’s Hill to admire what was undoubtedly a glorious view on a clear day. It was definitely not a clear day. One final steep path took us down into Chipping Campden, past the church, along the main road, to a fairly anticlimactic ending beside a near-identical plaque in the ground to the one we’d walked away from in Bath a week earlier. We took a few obligatory photos while day-trippers stared curiously at two damp, smelly, happy hikers, then promptly retired to the nearest pub for a well-earned pint. There was even time for a second before the bus showed up to start the journey home. Success! I greatly enjoyed walking the Cotswold Way. 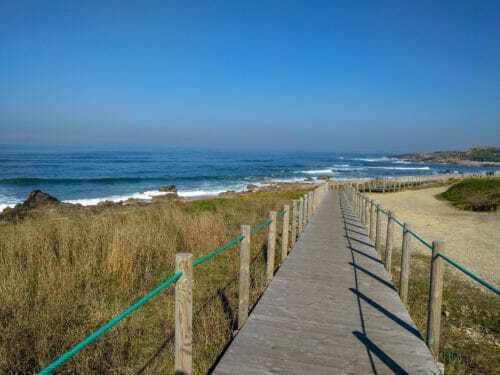 With pretty villages, good views, historic monuments, and several sections of glorious forests and wide, open countryside, there was plenty to take in for such a relatively-short distance. Undoubtedly helped by having settled weather and blue skies almost the entire way, not to mention throwing that extra day into the mix, even the longer days weren’t completely exhausting. 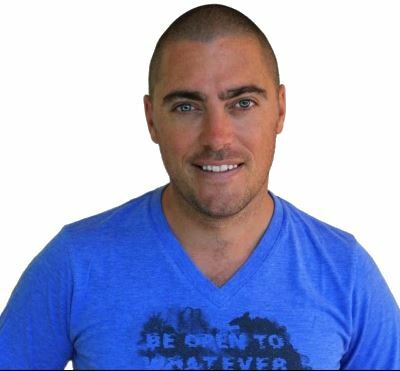 Sure, there were plenty of hills, but while they often seemed to show up right at the end of the day when they were least welcome, none of them ever felt especially high or difficult. We ate and drank well every day, and while I’d have liked there to be a few cheaper bunkhouse-style accommodations to keep the price down, it was certainly nice to have clean rooms, comfortable beds, and hot showers every night. 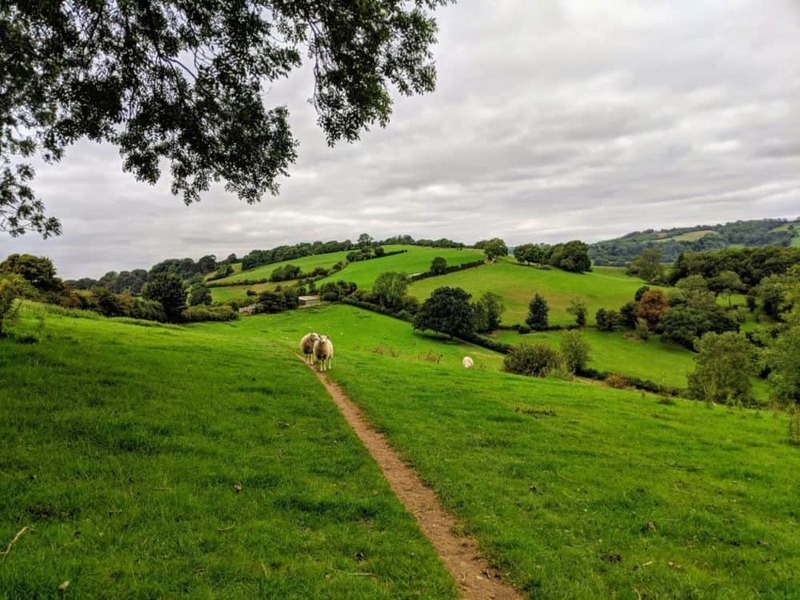 If you’re looking for a week-long walk that showcases some of best parts of a particularly attractive piece of the English countryside, and doesn’t require enormous amounts of fitness or equipment to enjoy, you’ll find it on the Cotswold Way. Have fun!